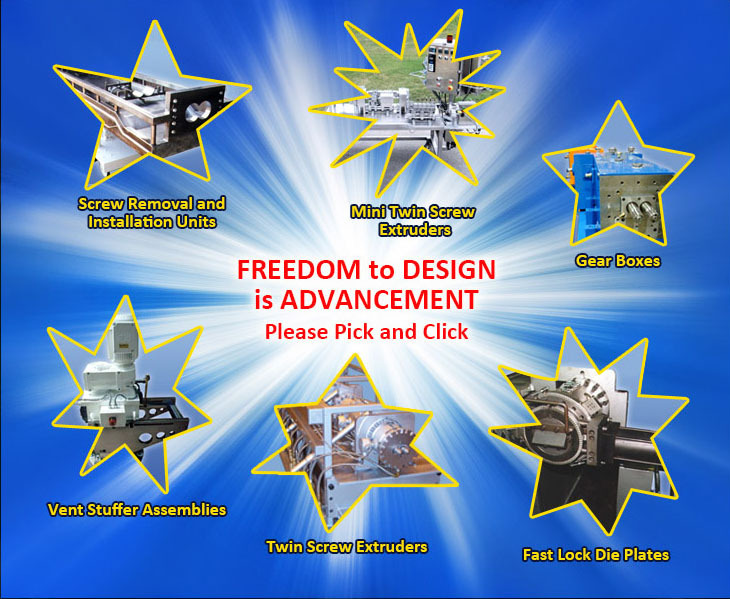 Specializing in Designing and Manu-facturing of Standard and Customized Twin Screw Extruder Components, Extruder Assemblies and Auxiliary Equipment. Extruder Components ranging in size from small 9 Millimeter to large 300 Millimeters Components including Screw Elements and Barrel Sections. © Copyright, Extruder Technologies. All Rights Reserved.